Effective team members are vital to the success of your company and organization. Behind every excellent project is a high-performing team. And as a leader, it’s your job to assure that you have effective team members you can always rely on. Project management is a challenging task, but having awesome people can make things easier for you and help you ensure project success. But how can you find and recruit good team members? Do you have to rely on skills alone or follow your gut feelings? Before we answer that question, let’s identify the key qualities of an effective team member first. Your team members must be able to express their thoughts and ideas with clarity, honesty, and respect. They must be good listeners as well, so they can understand instructions and solve problems. Keep in mind that miscommunication can prevent the progress of a project and even its success. In addition, you need to hire people who can take constructive criticisms without taking it personally. If your members are not open to feedback, your team won’t grow and improve. To meet your organization’s commitments, your members should be always reliable. This is where commitment comes in. When they are committed to the team, they will always show up, accomplish their tasks, and motivate the other members to do the same. You don’t necessarily need experts, but your team must have the basic knowledge of project management principles. This includes leveraging basic tactics and tools. 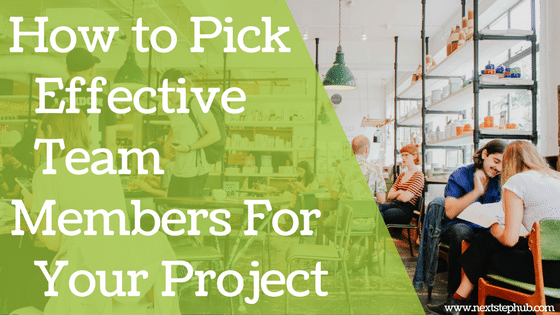 Also, consider choosing highly-organized members. Organized people have the ability to work efficiently, even under stress. Engaged members are excellent team players. They participate in team meetings and share their ideas in discussions. They are not afraid to volunteer for assignments and they are willing to step up when necessary. Great employees assist and help their fellow members. They are cooperative, and they figure out ways to solve problems together. Also, it’s best to have people who share their knowledge and experiences. Selfless members can help your other employees improve their skills and abilities. Sometimes, the team needs to try new ideas, tools, or take new directions in order to thrive. Because of this, it’s beneficial to have team members who adapt to ever-changing conditions. People who complain or resist to change can cripple the team and prevent it from moving forward. Before you start forming your team, you need to define the skills and qualities that are critical to the success of your project. For example, if your project involves content marketing, then you need team players who are experienced and knowledgeable in this field. Defining the goals of the project and the nature of each task lets you find the right candidates. And when you have the right people in your team, you can assure that each of them is valuable and will be able to contribute. Once you know the crucial skills your project needs, you can now look for potential candidates. You can search within your network, ask your peers for referrals, or utilize hiring platforms. You can also try some modern personality tests if you don’t have enough time to scan resumes. If you’re going to handle a remote team, you can still conduct a smooth interview process. Schedule a video call and leverage tools like Skype, Zoom, or UberConference. Your team members need to understand the goals they have to meet and the roles they will play. It’s vital that you clarify their responsibilities, the nature of the project, and your expectations. Take some time to sit down with each member, then outline what they need to do and what you expect from them. 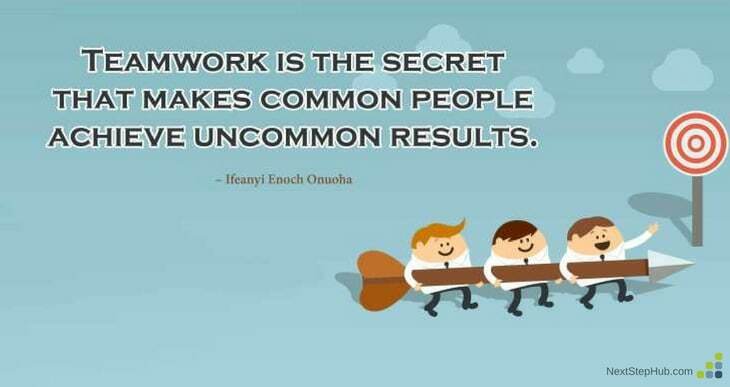 This way, you can ensure that everyone is on the same page and target a common goal. According to the book “Gut Feelings: The Intelligence of the Unconscious”, paying attention to gut instincts during a hiring process is not always helpful or fair. Your gut feelings help the brain process information fast, but it can also lead to poor judgments. In choosing a team member, it’s wise to combine logic with your gut feeling. Do some research on your candidate’s background, skills, and experience. If possible, talk to their former employers or former team members. Or you can conduct job simulation activities. These strategies will help you identify if the person will fit on your team. It’s also best to involve other people in the hiring process. You can do this with your co-founder, business partner, or current team players. Their input will help you come up with fair and effective decisions. In building a team, balance is the key. A little gut instinct won’t hurt, but you also have to consider the candidate’s data, work ethic, and skills. Keep these essential factors in mind and you’ll surely have an awesome organization with effective team members.